(Family Features) Whether you’re shipping a birthday gift to a beloved niece or returning a defective item to a manufacturer, you want to know that your package arrives on time and in good condition; however, changes to pricing and policies can make it hard to know which shipping service to use. Understand how shipping rates are calculated differently among major carriers. Some of the major carriers introduced a pricing system that determines pricing based on dimensional weight (DIM), charging for a package’s overall density (both the cubic space a package occupies relative to its weight). In the past, most packages smaller than three cubic feet were charged by weight only. Customers will now be responsible for the greater of the actual weight or DIM weight, so in many cases prices will be higher. Choosing a shipper with a variety of cost-saving solutions is one way to overcome these cost increases. Visit www.usps.com or speak with your local postal service representative to learn more about how the Postal Service is advancing numerous product and service innovations to better serve the public. Protect the contents of your package. Select a box strong and large enough to accommodate cushioning. Use tissue, ink-free packing paper, foam or bubble wrap for delicate items. Close and shake the box. If it rattles, add additional padding to keep items from shifting. Tape the opening of the box and reinforce all seams with 2-inch wide clear or brown packaging tape. Place a card inside the package with the delivery and return addresses to ensure the safe return of an item that could not be delivered if the mailing label becomes damaged or falls off. Evaluate specialty services, such as insurance and tracking. Some carriers automatically insure your package up to a designated amount. Be sure you know the limitations and exclusions, and purchase additional coverage if needed to protect yourself in case of damage or loss. In addition, there are numerous ways, at a range of price points, to keep track of your package while it is en route. Various tracking options are available to let you monitor a package’s progress from pickup to delivery; factors such as speed and the type of confirmation you want will influence the cost. With such a wide range of options available, you are sure to find a fit for your specific shipping needs. 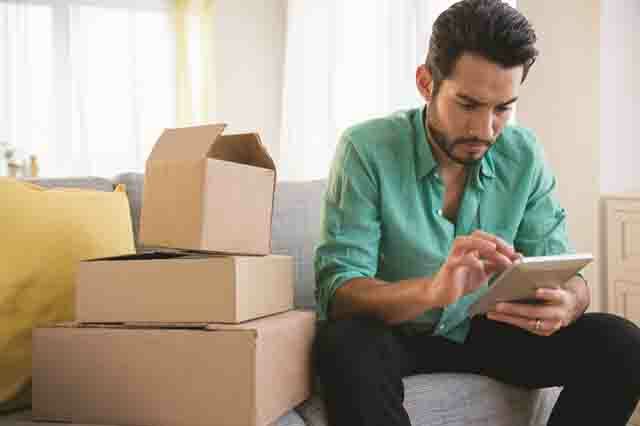 Taking time to understand the various carriers and fees for specialty services will help minimize your expenses while getting your package safely to its destination.